Spend the night with us at our newly renovated Travelodge. Located conveniently off I-80 at Exit 234 just outside of Youngstown, Ohio our boutique property features modern amenities and newly renovated rooms. We’re pleased to offer our guests a 100% non-smoking facility, complete with free continental breakfast daily and complimentary Wi-Fi. 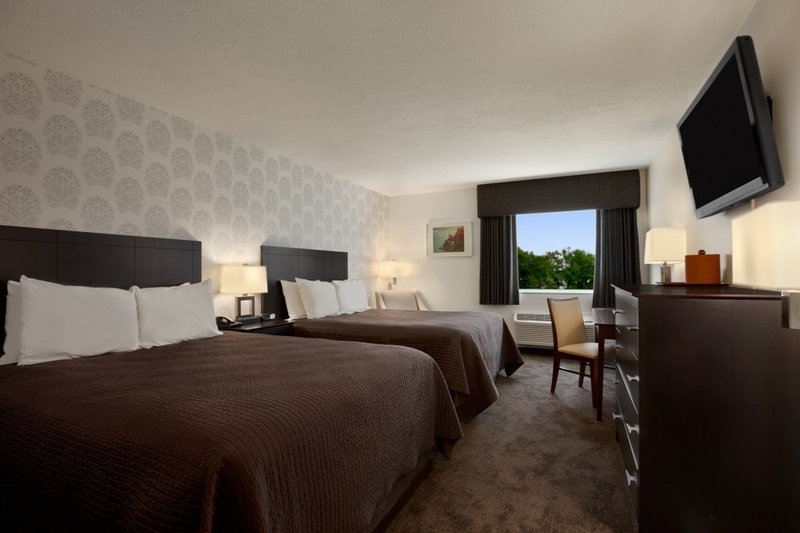 All guestrooms feature 42" flat screen TVs, desks, lounge chairs and ultra plush beds. Conveniently located on the Truck World Mall property, our hotel guest have access to our 24-hour restaurant for take-out or dine-in, The Tango Whiskey Sweepstakes game room, TW Newsstand Smoke & News Shop, Erin's Pub lounge, Dunkin' Donuts and more. Please contact us for reservations at (330) 534.8191 or book online. Singles and Doubles available. Group rates and extended stay prices available.